Hi, everyone. 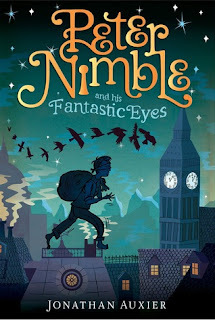 I have posted my review of Peter Nimble and His Fantastic Eyes over at my WordPress blog, The Friendly Reader. Visit if you are interested! Finally! A decent "up close" photo of Madison! Madison is not a party girl. The book I am so excited to read?